Brought to you by Front, the inbox for productive teams. Check out our collaborative inbox app used by Shopify, HubSpot, and more than 4,000 teams worldwide. Going on a first date is incredibly nerve-wracking. You spend a long time picking out the right clothes. You’re double-checking the meeting place and time. Your heart’s racing, and you’re worried about making a good impression. You want to accurately represent yourself and make sure your date doesn’t get the wrong idea. The same goes when you're talking to customers. Each interaction is a chance to represent — or misrepresent — your product and your brand. Here’s some dating 101 for how to communicate with customers. Just like dating, customer service starts with what your mother taught you — mind your manners! That means greeting people with a “hello,” saying “nice to meet you,” “thank you,” and “goodbye.” It seems obvious, but when you’re communicating with your customers through a computer screen all day, it’s easy to forget there’s a human on the other end. To keep yourself in check, use your customer’s name in all your interactions with them. It’s a subtle reminder to yourself that you’re talking to a person, and not a computer, and it’ll give your emails a personal touch. Every time a customer reaches out to you, they’re giving you some small insights into how you can improve your product. It’s extremely valuable information that you wouldn’t have had otherwise — don’t be afraid to say “thanks!” and be eager about talking to them again. To communicate with customers, talk just like you do in real life. When you run into someone on the street, you don’t “apologize for the inconvenience.” You just say “I’m sorry about that.” Similarly, you don’t say “we thank you for your patience.” You say, “thanks for waiting.” The phrases packed with those fancy words are associated with automated, impersonal interactions. This also means you should talk in your customers’ vocabulary. Your business uses “industry lingo” internally, but it might not be comprehensible to your customers. Remember that your job is to solve the customer’s problem as swiftly as possible — not prove how knowledgeable you are. Using jargon that your customers can’t understand won’t clarify anything and can come across as condescending. Communicating with customers is easy in Front! Manage customer messages over email, live chat, SMS, social media and more, all in one inbox. Try Front free. Buffer is known for their exceptional customer service. In an article on the topic, their chief happiness officer Carolyn revealed that a lot of it has to do with their attention to detail. Carolyn realized that even though she was trying to be helpful, saying “actually” and “but” came off as dismissive and made the customer feel stupid. Be conscious of your word choices and their connotation. Don’t make it sound like you’re pointing out the obvious, or that they made a mistake for reaching out to you and not figuring out the issue on their own. That will discourage them from asking support questions in the future. You want to provide solutions for your customers, not disappoint them and push them away. On a date you usually want to get the scoop on the person before chatting with them (or maybe that’s just me). Luckily we have Google and social media to give us intel for topics of conversation. Similarly, you should do your research on your customers. It gives your customers’ email or alias a real identity that you can connect with. Look at their social media accounts, their websites, and their blogs to get a bit of background on them. If you treat them like a human, they’ll be more likely to view you as a human, and not just Help-Desk Hannah. As an added bonus, the more you connect with your users, the more likely they’ll stick around and become active users. Did you know? You can access customer information directly in your inbox with Front. That way it's easy to get context on who you're talking to. Dale Carnegie, in his classic book How to Win Friends and Influence People, teaches us that listening to people is the easiest way to make people appreciate you. You’re actively showing people that you care about their problems and are invested in helping them find a solution. But showing you’re listening is more than straining your ears and bobbing your head— especially since the customers can’t see you. Rather, you should show you’re listening by keeping the conversation going, and asking questions. Instead of saying “let us know if you have any further questions,” ask if your solution solved their problem. Make sure they leave the conversation with every question answered—whether they expected it or not. 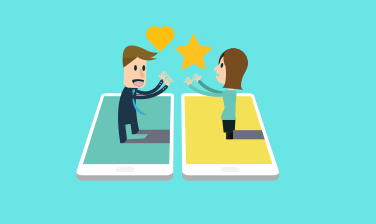 Customer support, similar to dating, is not a one-and-done deal. It’s relationship building. If you can continue the conversation and show that you sincerely care about the customer, they’ll come back and your relationship will continue improving. One of America’s most famous retail tycoons, Harry Selfridges, once said “honesty always pays.” In his book, The Romance of Commerce, he wrote that a business cannot be built on honesty alone, but it’s one of the most important values that customers will always take notice of. There’s nothing more frustrating to a customer than when a company doesn’t own up to their mistake. It’s bound to happen once in a while, and when it does, the best way to smooth things over is to give a personal apology. Make your emails more sincere by making your empathy for their situation explicit. Instead of just saying “we’ll look into the issue,” try adding, “I understand how frustrating this can be.” This lets your customer know that you’re on the same team, and you’re working to fix the problem for everyone. 67% of customers leave a brand after a bad experience. If they’re helped by a vague and unsympathetic support team member, they’re basically being escorted away from the product. Not sure what to say when you apologize? Check out these 6 real examples of excellent, empathetic apology emails to customers. “Ghosting” is considered one of the worst dating problems in the 21st century. You go on a date, have a nice time, and never hear from the person again. No one likes to be ignored—especially your customers. Many of your customer support issues aren’t going to be solved in one go. You often have to follow up to update them on a bug fix or a feature request. But you should be sure to follow up on all your customer’s problems to make sure their issue doesn’t come up again. Set yourself reminders in your calendar or in your email workflow to follow up with every customer a week or two after your conversation. A friendly check-in to make sure everything is going smoothly lets the customer know that you’re always available to help with a fix—even if it’s one they’ve already reached out about. You’re not going to make every single customer happy, just like you’re not going to nail every first date. We’re only human, so something—whether it’s a bug in the product, or an email that falls through the cracks—is bound to get screwed up. At the end of the day, though, people don’t typically remember what went wrong. They remember how they were treated. Your greatest asset as a customer support person is that you’re human, so don’t be afraid to show it.